Racing is the mainstay of TSC. We encourage all our members to take part in races. It’s fun and a great way to improve your skills. This category contains posts detailing upcoming events, and results for recent events. Good to see some of our intrepid Topper sailors join us at the Presentation Evening. Well done all and especially to Matt and Toby for some exciting racing during the past year. Happy Birthday Toby ! These are some of the winners at the Presentation Evening held at the Bewdley Pines Golf Club. It was good to see JB Smith’s son present the JB Smith trophies to Phil and Ralph and Mik. PLEASE NOTE British Summer Time begins on 31 March, 2019. This does not affect Saturday racing times. Sunday racing times will now be : 1200, 2 pm and 3.30 pm. 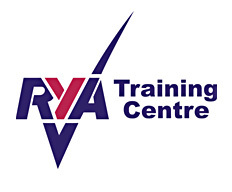 There will be no racing on Saturday 13 April or Sunday 14 April as these are designated as RYA Training Days. Please note As 31 March is Mother’s Day there will be no racing on this day. Why not bring your Mum out and take her for a sail !